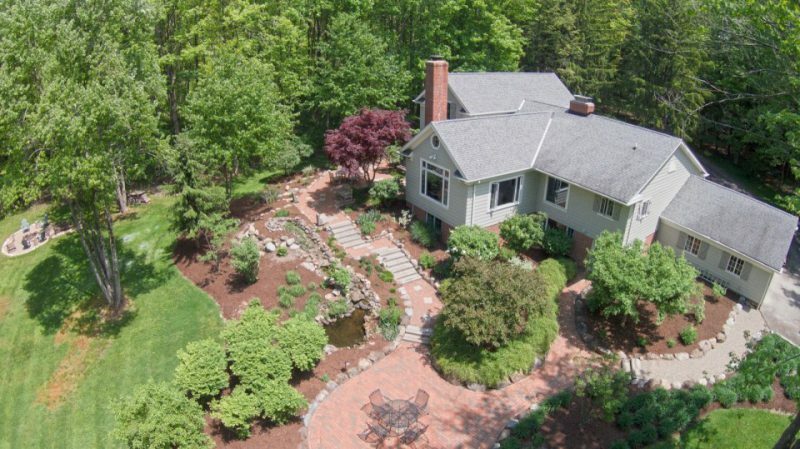 GATES MILLS, Ohio — If outdoor space is at the top of your house hunters’ wish list, 1090 County Line Road in Gates Mills ticks all the boxes. Quiet, secluded location? Check. Natural setting. Check? Beautifully landscaped grounds? Check. The Cape Cod colonial style home, listed at $570,000, sits on a five-acre lot surrounded by miles of woods protected by the Western Reserve Land Conservancy. The outdoor space was completely renovated in 2015 and includes a gorgeous patio paved in brick and stone, water feature, plenty of trees, flowers and greenery. There’s even an outdoor shower.